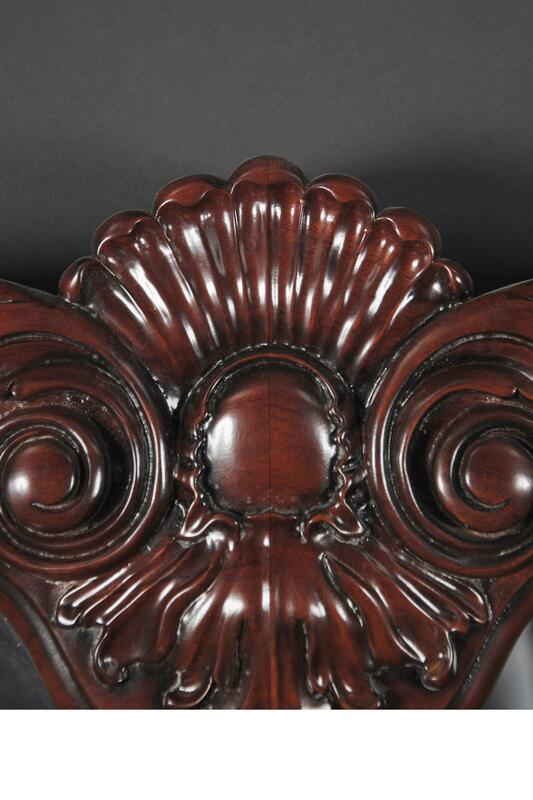 Mahogany Furniture > All Bedroom > Misc. 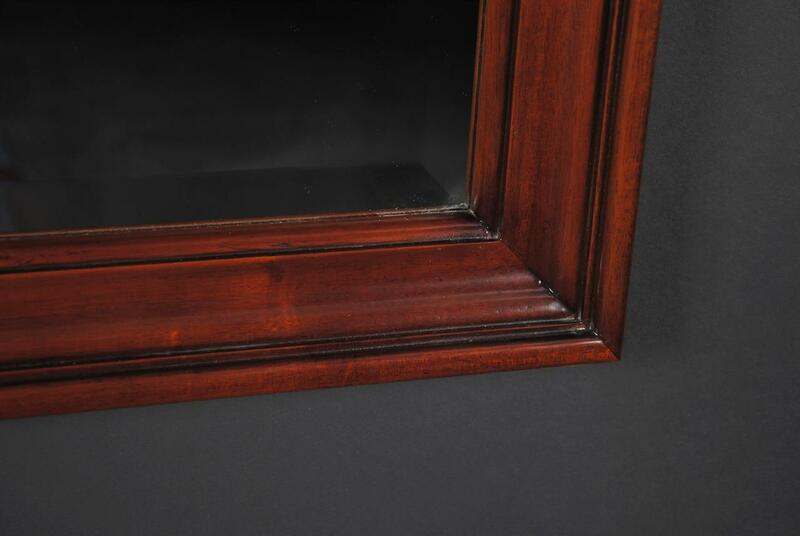 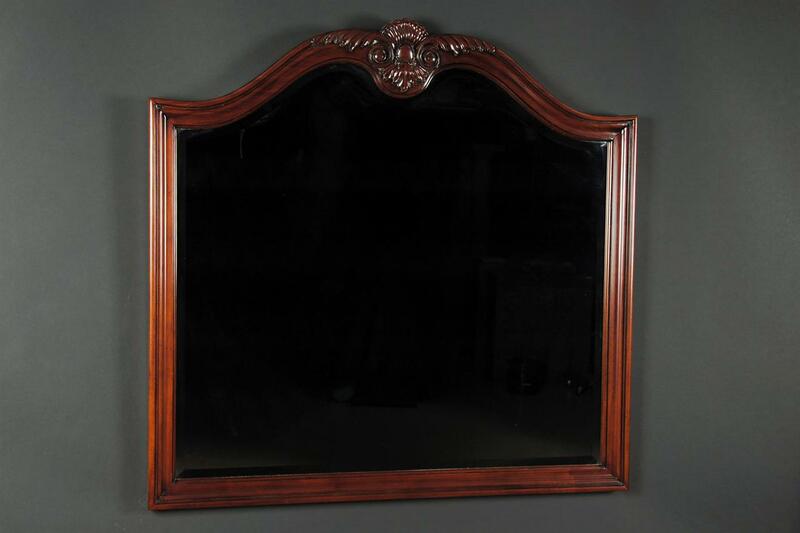 Description: Fine Quality Mahogany Mirror with Hand carved details and bevelled looking glass. 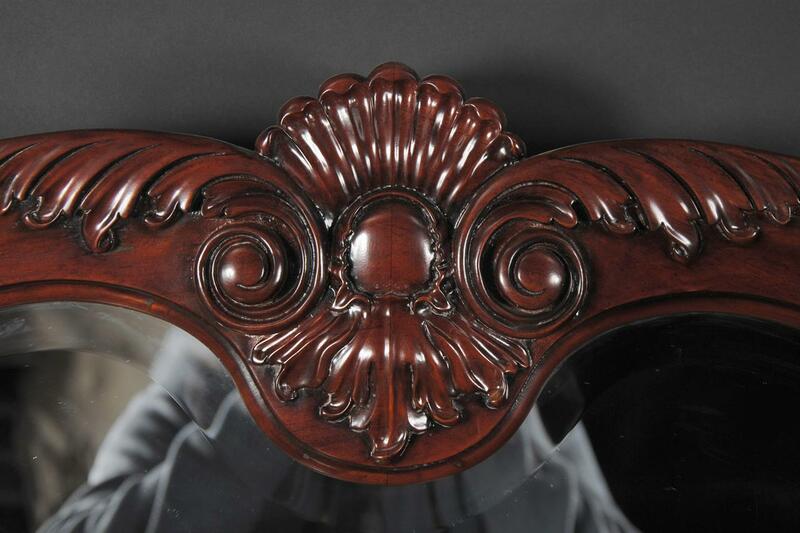 Suitable for use in bedroom over a dresser, in the dining room over a sideboard and in a hallway/entryway.